We have come together from Australia, New Zealand and Britain, in a time of grace, to reflect on the theme of Serving Your Community: Transformation through Formation. We have prayed, shared and reflected on the three core elements of the Carmelite contemplative charism: prayer, community, and service. None of these elements alone fully expresses our vocation to become contemplatives, that is, friends with God. Rather, we seek to include and balance all three elements as we move forward into God’s future for us. 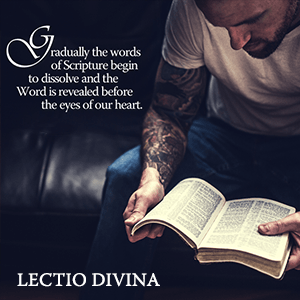 Through a Lectio-style process – listening, reflecting, discussing, resting, and acting – we have shared the experiences of our communities, with all the opportunities and challenges that lie ahead of us, and listened to one another with respect and love. We come from many different situations, with different needs, ideas and hopes, but our diversity enriches our united Carmelite Family. 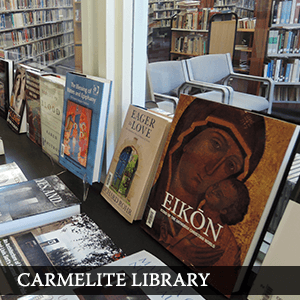 We have reflected on the Carmelite tradition, and sought to emphasise what is authentically Carmelite. We have listened to an international perspective on Lay Carmel, and focussed on our own history and current reality, expressed in questionnaire survey feedback. In particular we have reflected on our Rule of Saint Albert and our Third Order Constitutions (Rule for the Third Order, 2003). We want to give people an authentic experience of Carmel, which must include prayer, community and service; if any of these are lacking, we are not giving them a true taste of our Order’s rich heritage. Good leadership and formation are key to developing this understanding. We seek to live truly in allegiance to Jesus Christ. He is the vine, and we are the branches; we make our home in him, that we may bear much fruit. We look to Elijah, Mary, and the holy men and women of Carmel – including the first Carmelites in Australia, James Dempsey and John Butler – to inspire us and intercede for us. We wish to live together in a spirit of simplicity, openness and dialogue. We value unity and diversity. We will be outward-looking and willing to evolve, creative in our fidelity to the Carmelite tradition. Where necessary we must put new wine into new wineskins. Where possible we will engage ecumenically with Christians of various denominations, those of other faiths, and all people of good will in our world which God loves so much. To promote an authentic Carmelite experience of prayer, community and service at local community and Province levels, we will undertake a number of specific initiatives, supporting them with appropriate formation, organisation and communication. Our resolutions are more about attitude than method, since there is no single Carmelite model of prayer, community-building, or service. Though we must be realistic in our planning, our dreams for the future are ambitious. It is possible that not every aspiration will be achieved, but by following the ‘Little Way’ we will do what we can with love and trust in God’s grace. Though we may never see the fruits, God will nurture the seeds that we plant, pruning where necessary. We realise that these aspirations will cost us in terms of finance, energy, and time, but we confidently commit to this, sure of the providence of God who is never outdone in generosity. We commit to ongoing formation, practical training and mentoring for leaders and formators, so as to encourage a better understanding and sharing of our Carmelite charism, and a deeper commitment to it in daily life. We will hold ‘Carmel: Come and See’ road-shows and ‘Taste and See’ spirituality workshops to take our charism out to the public and engage with other spiritual traditions. 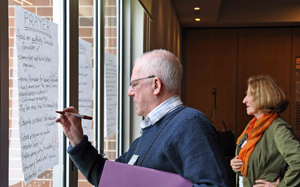 Our communities will focus on formation, fellowship and the apostolate, enriched where possible by presentations from both laity, clergy and religious, speakers from within our communities and guest speakers. We will actively invite new people into our communities (both Third Order Chapters and Carmelite Spirituality Groups). We need to be more visible, raising our profile in parishes and elsewhere. We will issue personal invitations, offering a warm welcome and making hospitality our special concern. We want to reach out especially to younger people, welcoming them ‘where they are’ not where we might think they should be. We are also very conscious of our ‘distance members’ and want to include them in our community life. We will train facilitators, developing skills in listening, sharing and communicating, and community leadership skills, so that individuals and groups can take Carmel into a world so hungry for the fulfilment that can only come from God. 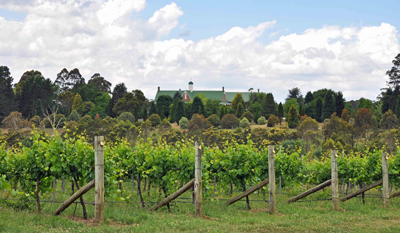 We will develop and contribute to The Vine as a resource that can deepen our sense of spirituality, equip us better to evangelise, help us to pray more deeply for one another, and include more articles on Carmelite spirituality in addition to community news. 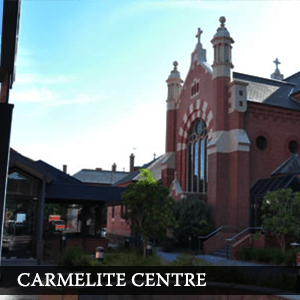 We want to develop stronger connections across our diverse Carmelite Family, building regular contact and sharing with our Teresian sisters and brothers, including participation in the ‘Carmelites Together’ seminars. We propose that a member of the National Council be appointed to promote communication within Lay Carmel from across our Family, including distance members and the worldwide Order. Our communication will utilise electronic media where possible. We are not only part of a local community, but part of a Province, and an international Order. We will establish a fund to send people to future International Lay Carmelite Congresses. We look forward with hope to the forthcoming Lay Carmelite Congress of the Asia-Pacific-Oceania region of the Order. We recommit ourselves to supporting the Province’s mission in Timor Leste, continuing our current projects and looking for new initiatives. We hope that a committee or coordinator for Timor amongst Lay Carmelites be appointed at Province level. We want to hear the voice of the poor and exchange experiences with our brothers and sisters in Timor. We all share responsibility for the apostolate, but we encourage each community to nominate a person specifically to foster a spirit of service, sharing information about ministry, and motivating the community to engage in the apostolate which is an essential part of our charism. Inspired by our prophetic heritage as spiritual descendents of Elijah, we want to emphasise and engage in issues of social justice, supporting initiatives that promote human life and its full flourishing. Underpinning these resolutions is the desire to share the Good News of God’s love for all, freely given, and doing what we can, by God’s grace, to build God’s kingdom, by cooperating with the Spirit. Fifty years after the Second Vatican Council highlighted the vital role of the laity in the Church, we rejoice in our collaborative mission, that we all share through our baptism, to live and spread the Gospel. May Our Lady of Mount Carmel, Help of Christians, present at the wedding in Cana, pray for us.